NO LONGER AVAILABLE. Due to time constraints we've had to cease building these so we can concentrate on other areas. There are still some laser cut flanges left for those who wish to build their own pipes (see bottom of this page). These "splitter" pipes have been developed specifically for fitment of the SR20DET into a RHD Datsun 1600. 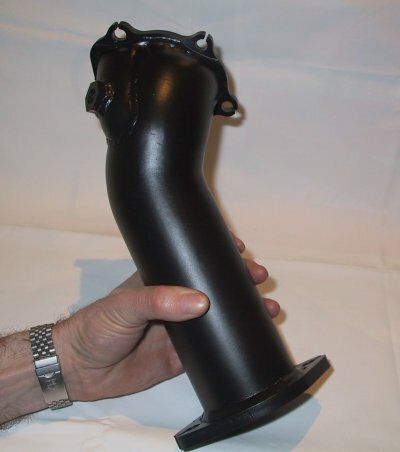 As there are specific space constraints involved, an "off the shelf" pipe for a 180SX or Silvia is not suitable. They have been designed to maximise flow from the turbo while still maintaining good clearances to firewall and steering components as well as adding clearance for fasteners. 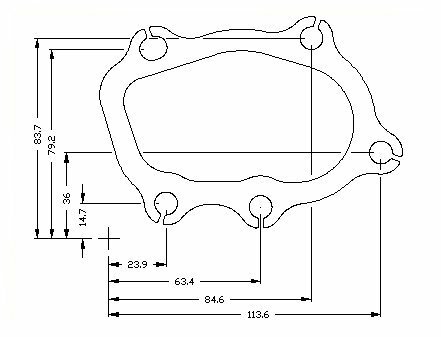 Flanges are CAD designed and laser cut to ensure a perfect fit. Extra material has been designed into the flange around problem fasteners to allow better spanner access. 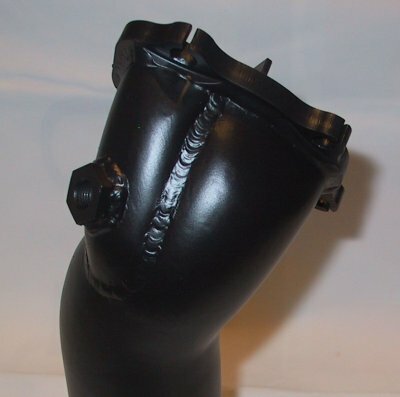 A section of pipe is added to the wastegate side to handle wastegate exit gasses. This blends back into the main pipe after the splitter plate. Pipes are bead blasted and finished in aluminium based heatproof paint. All welds are on the outside of the pipe so there are no welds to impede gas flow and any dags inside the pipe are ground flush. The shape of the pipe allows ample clearance for the steering gear. 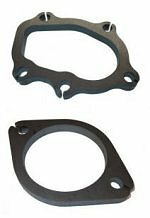 Both flange surfaces are machined flat after welding to ensure perfect gasket sealing. A boss for the O2 sensor can be fitted. The early SRs have 12mm threads, the later ones have 18mm threads. Please specify when ordering. We tend to keep pipes in stock, but if not they will have to be made to order, so please don't expect to have one the day after ordering. Generally allow 2 weeks for made-to-order. Please email me for availability and postage costs. More ordering/shipping details here.